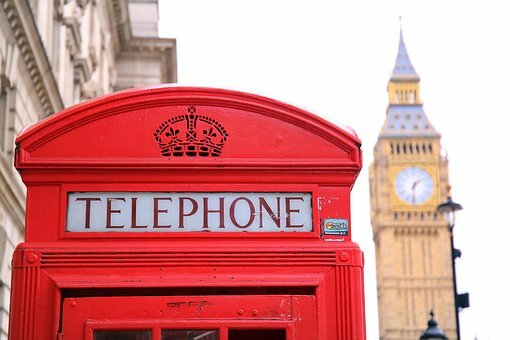 Planning on Visiting London On A Budget: Can It Be Done? My first London moment was one of the best experiences of my life. I had only just landed in the city when I started to fall head over heels in love. The sights, the atmosphere, the big, American city vibe in a European setting; I just couldn’t get enough. But, what I started to realise in my first time in London was the expense. Oh my gosh, it is expensive! Anyone who has been to London will have a story about how much money they spent and how it is majorly overpriced, just like I have. Fortunately, though, it’s very possible to find reasonably priced flights to London. Today, I don’t want to focus on the inevitable spending spree. Today, I want to focus on London on a budget. That’s right, a lot of people say it can’t be done and are calling me a fool! But, I think that the tips below should slash the cost of visiting London by a big margin. Check them out and see for yourself. London is huge and there is a lot to visit. By winging your journey, you run the risk of additional expenses that I would not recommend. I know they only seem small and insignificant, but over the space of a weekend, they can amount to a lot of money. Plus, you can tell what is too expensive beforehand and cross it off the list. Trust me, that will save you a fortune. I like to use C London City as a guide because it has information on everything you need, from hotels to transport. Oyster Cards are London’s travel pass. You top them up at a machine and use them electronically to ride the Tube and catch buses. What makes an Oyster card cheaper than the alternatives is the spending limit. If you don’t go out of zones one to three, you will only spend seven pounds and can ride the Tube all day. Or, I have just found out you can use contactless bank cards, which is pretty much the same. For me, there is no better way to see London than to get your walk on. Okay, it might take a lot longer than normal. But, you see a lot more of the city. I mean honestly, how much of the city can you see from the underground? Plus, walking is, and always will be, free. Not all the attractions in London cost money. The best tip I came across when I first visited was the free attractions. And, they are just as good as some of the ones you have to pay for. If you are not British, The Changing of the Guard is amazing. Because I am somewhat of a foreigner, old, British traditions are a love of mine. Plus, there is the Tate Modern gallery or Hyde Park, which is a great place to visit when the weather is nice. For all those that fancy some of London’s delights, you can book ahead to make them cheaper. For example, if you want to catch a show on the West End, purchase the tickets a couple of weeks before your trip. Personally, I think London on a budget can be done. What is your London on a budget tip?